You are here: Home / How To Guides / Top 10 Free ePUB readers for Windows/MAC/Linux you should not miss! ePUB (electronic publication) is a free and open e-book standard by the International Digital Publishing Forum (IDPF) known as EPUB or EPub. It is used in Barnes & Noble Nook, Sony Reader, iPhone/iPod Touch (using various e-book apps), and more. Sumatra is PDF, ePub, MOBI, CHM, XPS, DjVu, CBZ, CBR all in one reader for Windows. You can use Sumatra PDF to open any EPUB files. Actually I like the simplicity of Sumatra PDF alot. Also it is very fast,small and portable. Just install this software and forget about any alternatives as now you can read any type of ebooks on your Windows specially the Epub one. You can use Sumatra PDF to open Epub files on your Windows 7 , Windows 8 and Windows 8.1 computer very easily. This is a top notch EPUB reader with so many functionality and features. It’s free. 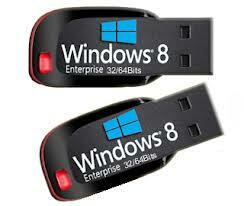 It supports Windows 8, Windows 7, Windows Vista and XP. You can manage your digital eBook library in EPUB, MOBI, PDF, FB2 and other formats. You can check how many pages left, search words, bookmark pages, choose whether to read in Fullscreen mode or Night mode, etc. Once you download this epub reader for Windows 10 or Windows 8 , I am sure you will just get amazed so much that you will not try other alternatives. Unfortunately, Icecream epub reader is available only for Windows. If you want EPUB reader for your MAC or Linux please try other options which I have listed below. Fbreader can open any ePub format files on your Windows, Linux, Mac OS X , Android , Blackberry devices very easily. Very fast and will be responsive to your device. You can also use this reader in your Windows 8 or Windows 8.1 and read your ePub files. Stanza for Mac is an e-book reader for Mac OS and iOS devices which can open ePub files very easily. Neat and clean interface which will make you feel comfortable. MobiPocket can be used in Windows PC,Blackberry ,Windows Mobile ,Symbian Os ,Palm Os. Its very light weight software and will never slow your PC. I loved this software and it used to be my favourite ePub reader unless I find FBreader which is also good epub reader. Epubfilereader is very small sized yet effective software which can open epub files . You will be able to read any epub format books on your Windows PC without compromising quality and screen size. Enjoy this free software 😀 . No need to download any software and you can use this awesome Firefox plugin to open epub files from any platform and any devices any time. This is the best choice for me because I can read epub files on the go using Epub Reader Firefox addon. Now upload the file from your Hard-disk and then it will be added to your library. Now open this book by clicking on the coverpage. You will feel like you are reading on a ebook reader because of its Magic Scroll :p lol. All these tools are great and now its upto you which one you will choose. Now you will be able to read epub files from your windows,linux or even Mac OS X. I have tried my best to collect best tool but its not a complete list. I might have missed some other wonderful tools . We would like to hear from you. Please tell us any other tool you found very helpful. If you face any problem don’t forget to comment below.
.:: I use.. Sumatra PDF; Just like IT ::.